I was diagnosed with Rheumatoid Arthritis in January. We had our vacation scheduled for the first week of June. In January, I never imagined that I would still be trying to find a medicine that worked in June and still have so much pain. 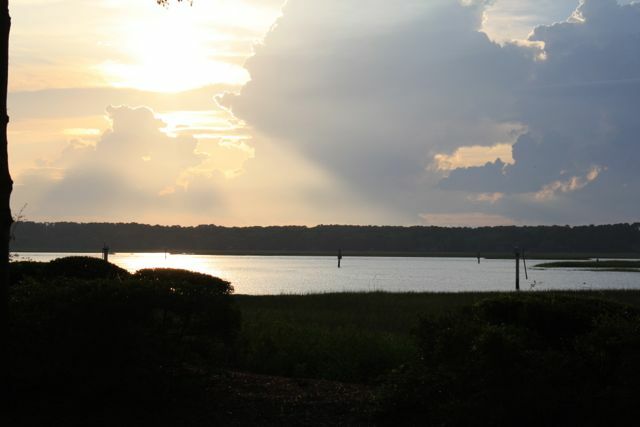 However, I pushed on and drove almost 8 hours to go to Hilton Head for the week with my kids and my parents. My husband wasn’t able to get time off from work, so he stayed home. The first thing I noticed is that driving 8 hours with hands that are already flared up, increased the pain to a level that I have never known. Once we got to our destination, I unloaded the car and let the kids swim for a while. Then it was time for me to go to the grocery store to get the things we needed for the week. I had to push the cart through the grocery store and load everything in to the car. There was no one to help at this point. When I returned to the resort, I encountered my first obstacle that was not friendly to those with severe pain in their hands – a card reader to open the gate. The card reader was not the type you lay the card on, you had the turn the card sideways and insert it in the reader and remove it quickly for the gate to open. This was almost impossible with my hands in the shape they were in. The second thing I noticed is that the first two days, I was in the pool for hours playing with my kids. I even went down the water slide which they thought was cool. However, being in the water didn’t help my pain but brought it on even worse. By the end of the day, I was hardly able to walk, unable to use my hands, and other things hurt like my hips, elbows, and shoulders. I didn’t have an opportunity to really rest on vacation as I was cooking our meals and trying to make sure the kids had a good time. Finally, I noticed that the fatigue that has hit me upon our return from vacation and the continual pain has me wishing for my old life back. I really hate RA and I hate that it takes so long for medicines to start working. I have a 6-year-old home with me this summer that I need to entertain when all I want to do is make the pain stop and rest. Perhaps I’m just throwing myself a pity party but I really am ticked that my vacation was full of pain, my everyday life is full of pain, and it doesn’t seem like it ever be different. However, I did meet a woman on vacation that has had RA for over 20 years and she said it does get better once you get on the right medicine but that the first year and a half is usually the worst. I guess I have another year to go before I get someone back to normal. I don’t think it’s a coincidence that I landed on your blog, Alecia. I hope that your symptoms are now under control. I will stop by, sorry to hear you are ending it soon. Unfortunately, my symptoms are not under control. I’m on my fourth medicine and so far, no results. I’ve tried all of the pills so far with no results, I’m afraid I will be moving up to biologics and since I’ve had such terrible side effects and reactions to the pills, I’m really worried about the biologics. Thank you for stopping by and I will definitely check out your blog.